eCube - by Krish Compusoft - is a club member relationship management solution that enables hotel chains, recreational clubs, restaurants, food chains, gyms, spas, and catering business owners to reduce time spent on tracking regular member activities such as bookings, payments, and reports. The solution includes modules for the management of front desk, guest check-in, room service, and concierge operations through a single interface. eCube is available on three platforms: base, mobile, and web. 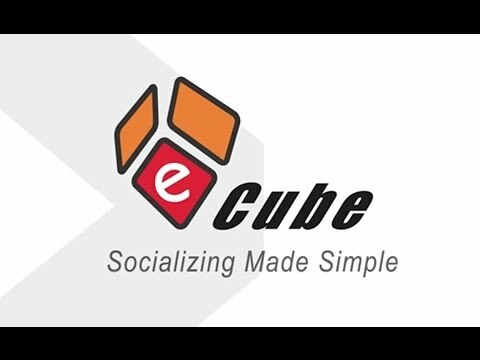 eCube offers various features including membership management, invoice management, accounts management, inventory management, and customer relationship management. The solution lets club managers track and calculate expenses as well as reduce overall spending to improve profits. Users can also keep a check on malpractices and simplify club operations to ensure maximum efficiency. The application helps managers optimally utilize available resources and reduce unproductive time. eCube's corporate membership management module enables the provision of special benefits to particular members, such as discounted rates and the option to settle their bill through their company. Members are each assigned a unique code and ID card, with which the software tracks their activity within the club. With this information, clubs can build and nurture personalized customer relationships. Clubs can also opt to send customized SMS and emails to clients on their birthdays, anniversaries, or any other special occasion. eCube helps in invoice management and ensures that invoices are generated on time and sent to clients automatically. The solution also provides MIS reports on the analytical and operational requirements of the club. eCube offers a scalable interface and allows users to buy modules as per their business requirements. There are currently no reviews of eCube. Please contact Krish Compusoft for pricing information. • eCube provides an intuitive user navigation platform that helps in managing housekeeping activities and in offering personalized services to customers. • The application lets users manage club accounts as well as send invoices and payment reminders to customers. • Club owners or operators can view lists of unoccupied rooms and the available space in game zones, pools, or other wings, with eCube. • The solution offers a point of sale module that helps with membership, card validity, and credit limit checks and ticketing for club services that require additional payment. • Service package subscription modules that allow members to select pre-built packages for their duration of stay. Below are some frequently asked questions for eCube. Q. What type of pricing plans does eCube offer? Q. Who are the typical users of eCube? Q. What languages does eCube support? Q. Does eCube support mobile devices? Q. Does eCube offer an API? No, eCube does not have an API available. Q. What other apps does eCube integrate with? Q. What level of support does eCube offer?